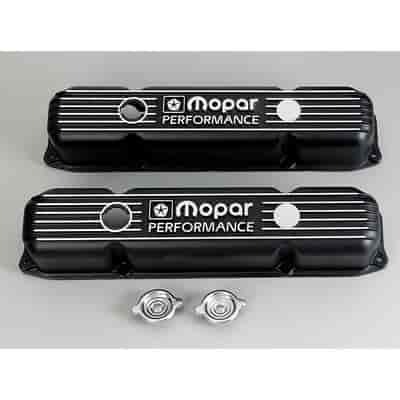 Does Mopar Performance P5007614 fit your vehicle? P5007614 is rated 5.0 out of 5 by 5. Rated 5 out of 5 by PSH1 from These are very nice covers. These seem to be very good quality. Especially when you custom paint a portion to match the block or intake. Very nice. Don't forget you will need matching grommets to fit breather and or pcv as these are thicker covers. Rated 5 out of 5 by Super Bee from Great parts Great parts and fast service. Packaged well and easy to purchase.